New to Rogue Islands and not quite sure how to get the most out of each island? 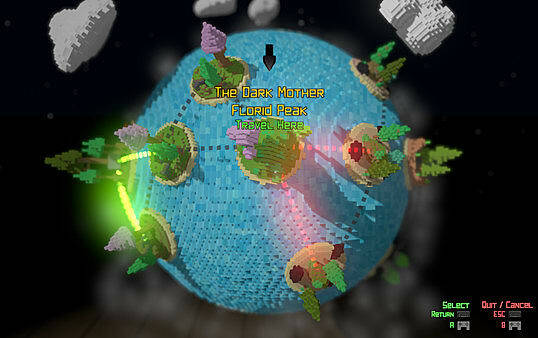 Are you feeling the challenged by some of the tougher enemies in the game's early stages? 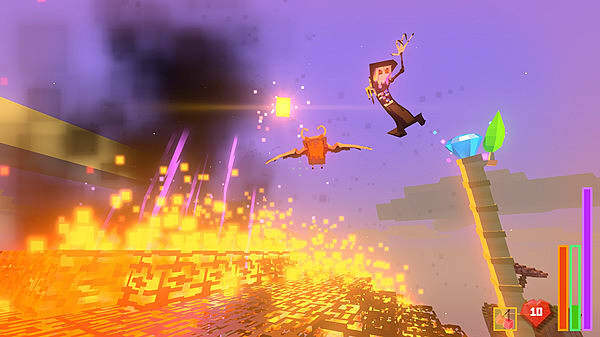 If so, then this guide is exactly what you are looking for to help you on your way in this roguelike with Minecraft exploration and mining elements. 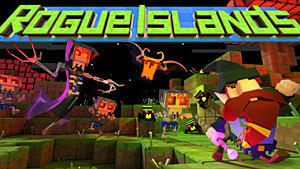 While each island in Rogue Islands has its own mission objective, you must also explore and find materials for upgrading and unlocking spells along the way. 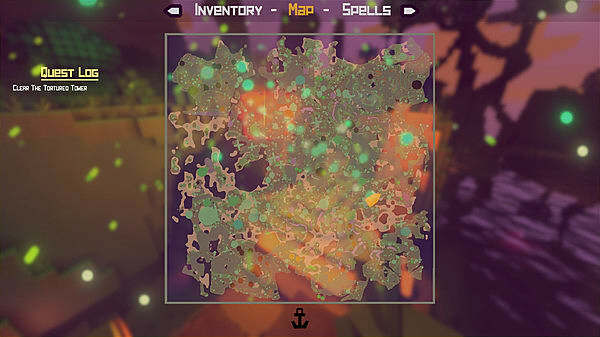 You'll also need to explore and find materials to craft fuel for your ship so you can leave the island. For those who don't know where to look, attempting to find these required materials can feel like nothing more than pure luck. If you are in a hurry, the best places to look for these materials and bitumen (which is needed to craft fuel) are inside caves and the faces of cliffs and mountains, all which can be found at the heart of each island. Essentially, you are looking for anywhere rock is present, as it is the only place where materials spawn. Materials can be easy to overlook, particularly if you are rushing your exploration, but there is an easier way to spot the glimmering gem shards for those brave or foolish enough. If you hang around an island long enough for nightfall, the materials will glow in the darkness, making them much easier to spot. Note: This does not apply to the bitumen that is needed to craft the ship's fuel. This is better sought during daylight because of its black color. 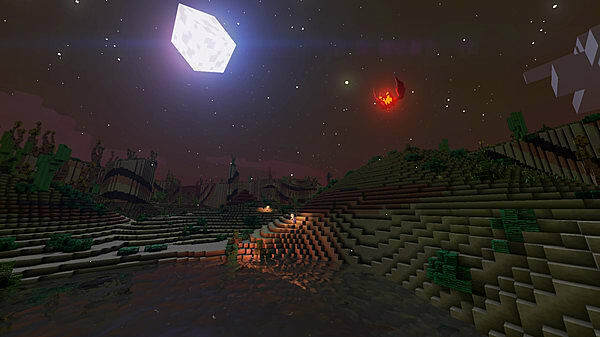 Beware, however; The unkillable Ghasts descend upon the islands at night, and they will constantly pursue you until daylight once they spot you. 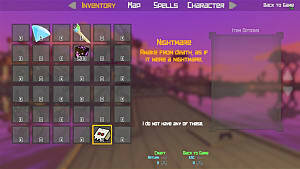 If you are having difficulty surviving at night, you can find all the tips you need in our How to Survive the Night and Ghasts in Rogue Islands Guide. As for finding the magic pool boosters to increase your magic pools -- they require a different method of discovery. 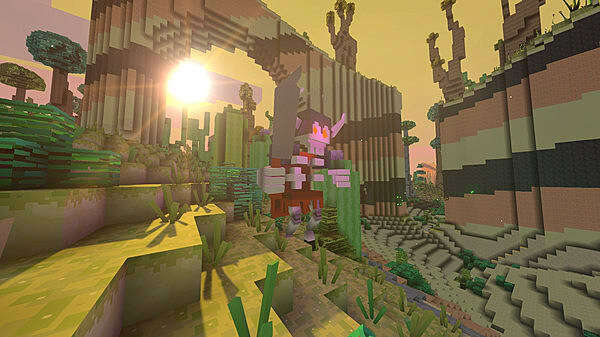 While they are found only in rocky terrain like other materials, magic pool boosters are harder to find due to the procedural generation of the game. There will be playthroughs where you will find lots of them, while there will be others where you will be hard pressed to find them. Their colors represent which magic pool they belong to, with purple being raw mana, green being earth (Adamant) magic, and orange being fire (Flamestone) magic. Always be on the lookout for them as they are extremely useful in later stages of the game; they are needed to cast the more powerful spells using Earth and Fire magic. The more you have, the longer you can cast the spells. Now that you know where to find the materials needed to upgrade and unlock new spells, it is time to concentrate on what spells to focus on early in the game. Choosing the right spells to upgrade and what spells to unlock in Rogue Islands' early game can make a huge difference as you progress. It can be the difference between challenging and tough fights, especially when it comes to meeting the new enemies on the fourth island. The first spell you should focus on above anything else during the first few islands is the Sparks spell. This is your default spell and one that you will be using more than any other in the game due to its long range. Getting this spell to level 3 should be your top priority. The reason for this is that at level 2, using the spell no longer uses up your mana, allowing you to continuously fire with stopping. Then level 3 makes the spell fire rapidly, doubling its initial casting speed. This enables you to shoot a constant onslaught of rapidly firing sparks that annihilate weaker enemies and also make short work of the tougher ones. After upgrading Sparks to level 3, you need to decide what spell to unlock next, and that is determined by whether or not you have the second staff and what materials you have at your disposal. If you have the second staff. which is found in chests, you should focus on unlocking the Seekers spell. 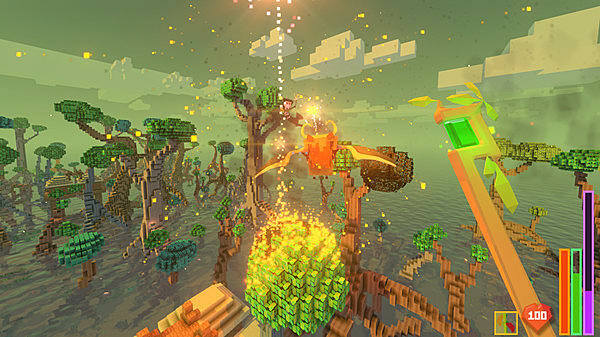 Note: Unlocking and upgrading the Seekers spell requires imbued Emeralds as opposed to Diamonds, like the Sparks spell. If you don't have the second staff -- or if you don't have the Emeralds or Spirit Dust to craft an imbued Emerald -- you should focus on unlocking the next Raw magic spell, Zap. This spell is short range but can deal a lot of damage in one blast, and the more mana you have, the more powerful each shot is. It certainly helps with the tougher enemies if you don't have Seekers, even if it means getting a bit more up close and personal. 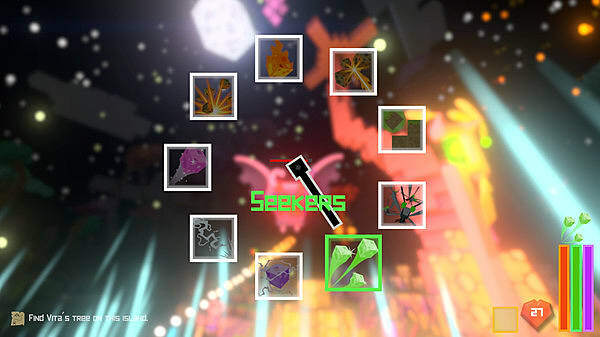 Once you have Sparks to level 3 and either Zap or Seekers unlocked, you should be well on your way to getting through certain levels of the game without too much trouble. Next, let's move on to finding chests. Chests are something that you should always be on the look out for, as they contain all kinds of different goodies to help you on your journey. As to how many are located on each island? That's random. Some islands will haven only one chest, while others can have as many as three. 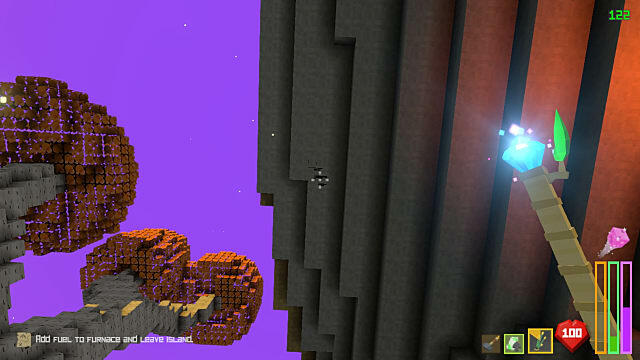 Chests are hidden within small forts that can be found on each of the islands. When you find a fort, you simply have to shoot its walls down to make yourself a doorway into the fort -- where you will find the golden chest. Chests contain all sorts of spell materials, new staffs, and amulets that grant you additional bonuses. Note: The Charred Staff (Fire Staff), can only be found by defeating the second boss. Chests are the only way to obtain the second staff, and the other goodies found in them can also make a big difference as the difficulty of the game increases. So be sure to find as many of them as possible on each island. No matter the level, you will always start at the southern side of an island. This means your objective -- no matter if it's closing a demon portal or finding Vita's Tree -- will always be at the north end of the island. More often than not, you will find your mission objective in either the center or to the right-hand side of the northern coastline. The only time your objective is placed differently is on the boss islands. Before you can face off against a boss, you will need to find the item required to summon them. This item lays in a large fort, which can spawn anywhere on the island, meaning you will have to explore to seek to them out. Once you find the item needed to summon the boss, however, you will find the boss' altar at the north end of the map, just as you would with a standard mission objective. While knowing where your mission objective is may not seem like much of an advantage, it does mean that you are saving time by not searching a far broader area. This results in you being able to focus more time on finding materials and chests, allowing you to more efficiently upgrade your power as the difficulty of the game increases. 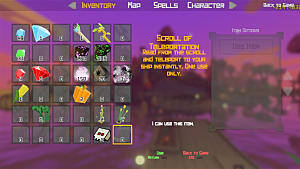 As one last tip, you should always ensure that you have a Scroll of Teleportation in your inventory, as it allows you to teleport back to the safety of your ship if things become a bit too dodgy. If you are playing either Explorer mode or Nightmare mode difficulties, it is a good idea to also keep a Nightmare in your inventory that grants you an extra life, reviving you on your boat upon death. 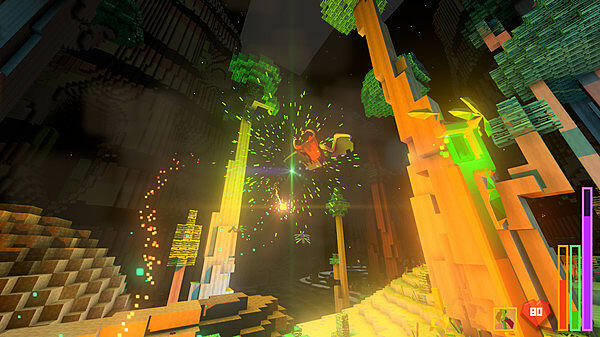 If you are unsure how to craft a Nightmare or Scroll of Teleportation, you can check out our guides on how to craft and find the materials for both Nightmares and Scrolls of Teleportation here on GameSkinny. And with that, you now have everything you need to get yourself started in the world of Rogue Islands. I wish you the best of luck on your adventures to destroy the Lords of Torment that are corrupting the once peaceful world.